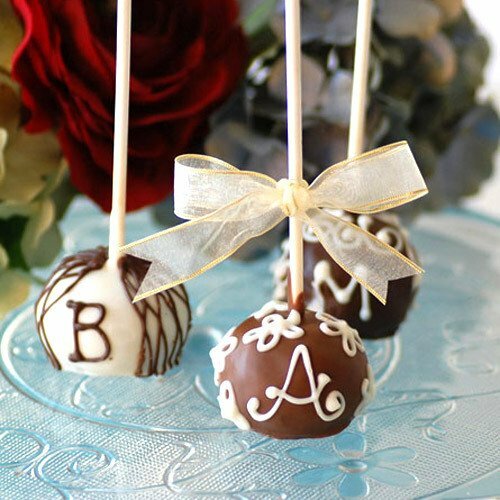 I mean little boxes of candy that might break a tooth can’t even compare to these super cute monogrammed brownie pops! First of all, they’re brownies which means chocolate and you can’t beat chocolate treats! And, they are dipped in chocolate making them doubly amazing. And then each pop is monogrammed with the couple’s initials. Super cute and chocolate? It’s a win-win for everyone! Your guests will love these favors that are almost too cute to eat. And, they would look great on a cake table or displayed as part of the centerpiece on each guest table. We found the brownie pops at Beau-Coup.